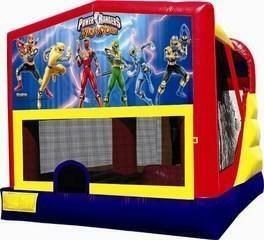 15x18 Bounce House w/ larger bounce area, slide, and basketball all inside the unit. Slide can't get hot on those warm summer days! Great for ages up to 10. Please look at all pictures of this unit.